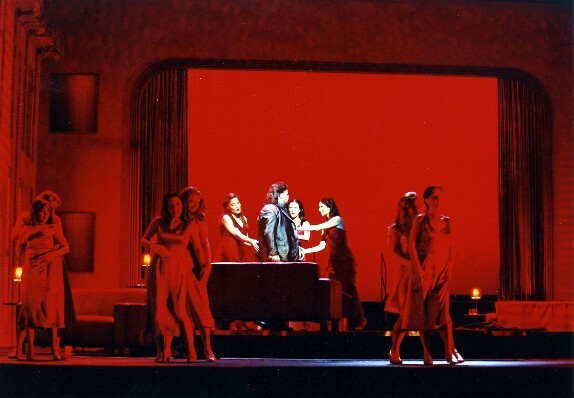 "but I still didn’t expect the staid Staatsoper audience to make their Easter Parsifal into a circus of boos, incomprehensible yelling at inappropriate times, and no fewer than three cell phones in Act 1. Oh, throw in the usual clapping/aggressive shushing fiasco at the end of Act One"
What was the average age of the audience at this performance would you say? I don't know, the usual? Old? That's what I meant by staid. Even the younger people are often already old. I also attended this Easter Sunday-Performance and just to inform you about my understanding of the tumult: the boos were just against Metzmacher. Some people didn't like his conducting at all, but they had nothing to do with the staging (which is well known for years by the vienna audience). The repeated boos before the second and the third act were once more against the conductor. 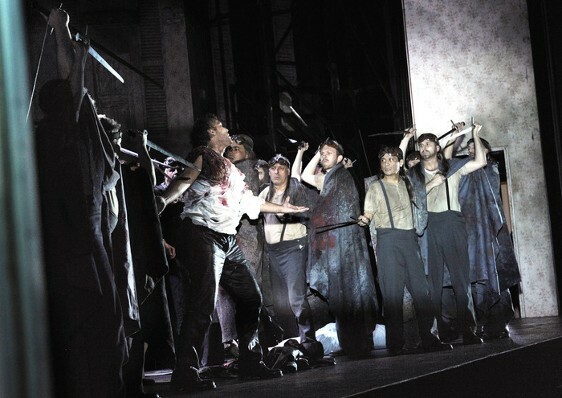 But then they were answered by the call "get out of the Staatsoper" (which was directed to the boo-fraction … but on the other hand the booers screamed: "Metzmacher – out of the Staatsoper"… and so on. A little audience-fight took place. Funny, I thing, and VERY austrian! And my impression of the age of the audience: It was NOT specially old, but very well mixed! Thanks for the helpful clarification. I was standing well behind all the yellers and couldn't quite figure out what was going on. I really don't understand what about Metzmacher they found so offensive. It wasn't eccentric or unusual conducting, maybe a little more logical and straightforward than misty and dreamy, but not exactly Gatti or Haenchen in extremeness. And there was more going on interpretively than a lot of the conducting we get at the Staatsoper. Any idea? The production thing was just a guess because multiple standing room line people have lectured me in how much everyone hates it. I do think it was supposed to be about gender, though I admittedly have a tendency to think that about everything. The treatment of the women in Act 1 made me think this in particular, and I have read some of what Mielitz has said about it and she saw it as an attempt at a feminist Parsifal. I don't think it really succeeds on that count, but I can see what she's going for at some points. This performance sounds much more interesting than the one I attended! Certainly more decorum on Thursday, no Buhrufe for Metzmacher and applause was held dutifully after Act I (I was surprised how fastidiously this was observed). It's a really tiresome Wagner dispute and one I don't particularly want to wade in to, but re. the Act I no clapping rule there does seem to be something disturbingly wrong – trying very hard not to run afoul of Godwin here – about the hostility with which the 'cognoscenti' shush those who are either ignorant or dissent (I should add I'm indifferent to the rule in this instance). With the idiots who hush the clappers in Chaik 6 I detect superiority and self-righteousness, and in a sense it's all zu menschlich, but with Parsifal it can get really ugly, sometimes in a way that strikes me as a little sinister (all zu menschlich in a quite different sense). Metzmacher didn't deserve boos, but I wasn't impressed. It was competent and certainly in no way bad, and I know it's rare to get even that at the Staats, but neither the conducting or playing were particularly memorable for me. Ditto for Meier – she was very good, but the intensity and precision you mentioned just wasn't as unflagging as I expected it would be (jet lag?). Must agree about those primal groans though. Surprised you liked Selig – again, I thought he was OK, but nothing special. 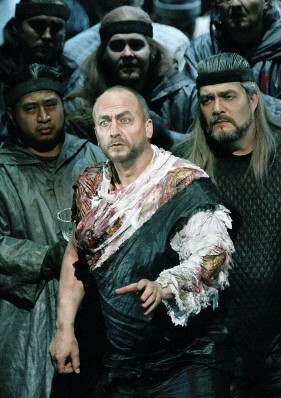 I whinged enough about Mielitz in the Fliegende Holländer comments and just can't be bothered this time. Suffice to say I don't see much depth in her work, and too often find it either unfocused or evasive. PS Just saw your comment above, doubt that the Viennese would know or indeed care about Metzmacher and Pfitzner (which I don't find much of an infraction anyway). Thielemann has never had any problems here as far as I'm aware, and Godwin be damned, I think it's fairly transparent which side he would have been on. I think I still see the applause Verbot more as another manifestation of reactionary conservatism than anything else. I mean, more or less of the school of the person I heard complaining after Anna Bolena that the costumes really shouldn't have been blue because that's a French color. Look how much I know and how sacred I hold the music! Combined with this weird booing, however, it does become more sinister. Wagner fans can be scary. My reaction about the Pfitzner business was also that it was unlikely Vienna would know or care about that (Metzmacher is a ridiculous target for such, and besides Wagner fanatics aren't known for their stringent Pfitzner hatred), but it was only a few people causing all the trouble, so I suppose it's a possibility. 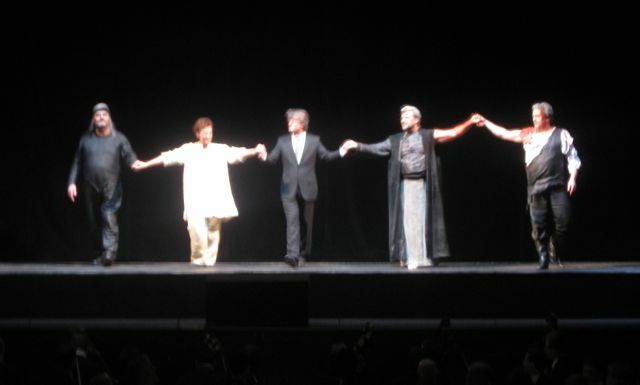 I saw Parsifal on 24 April and again on 27 April. The boos were definitely directed, unjustifiably, at Ingo Metzmacher. But, notwithstanding, the performance on 27 April was MUCH better. Maybe Ingo took some of the criticism to heart. On 27 April I sat in the third row left, watching all Ingo's facial expressions. It was amazing. At one point in the third act there was a squeek from the clarinets, and he made the ugliest face I've ever seen from a conductor. Unforgettable.